Today’s chapter late again as I’m slightly sick :(. If possible please add this to your Novel Updates Reading List do leave a review as well. “Not absolute certainty with others, no, but we’re so familiar with each other that there is definitely no chance of failure. How about this, if I succeed all of them then I’ll give you a kiss, and if there is even a single failure you’ll give me a kiss?” Zou Liang cockily remarked; the feeling of so openly teasing Ao Li Quan Ya was far too marvelous. Ao Li Quan Ya’s face flushed red. How could there be such an “honest” Bi Er; he was thoroughly bad! Whether she won or lost, it was still her loss in the end. “Keke, jokes, I was just joking. Tomorrow, we plan to set off for the trial by fire 2; have you prepared your equipment?” Zou Liang quickly changed the subject before the little beauty blew up. “Of course. I hope the help that Ai Wei Er invited is not too shabby!” As soon as the trial by fire was mentioned, Ao Li Quan Ya immediately opened her eyes and laughed. She could finally go and see the underworld freely for herself, though of course the “number one under the Heavens” Ao Li Quan Ya still had to compete with Ai Wei Er. Unrestrainedly admiring Ao Li Quan Ya’s gleaming beauty, Zou Liang evilly licked his lips. A story of a princess and a bear 3 would have a very good market; he needed to perform well in the excursion and act the part of a hero saving the damsel in distress. Zou Liang had almost completely understood the war songs and all of Ao Li Quan Ya’s lessons had been unnecessary, it was simply that there weren’t many opportunities for them to spend such time alone together. From Zou Liang’s understanding, war songs used an attribute of Beast Spirit referred to as Virtue passed through the voice as a medium. The result would be the disturbance of another beast tribe’s Beast Spirit which might increase fighting ability; the song or howl’s technical use as well as the Virtue’s strength would affect the final result. Any technique that Zou Liang learned had been comprehended with the aid of the modern generation’s thorough analyses. With this information, he could determine how each element affected the skill and how best to control the skill to reach its maximum effect. Once he had finished analysing the skills, Zou Liang then mixed the two world’s methods and started to scheme, but in front of Tuo Ma Si he had to maintain a lower profile; if he kept making breakthroughs in techniques, Tuo Ma Si might end up trying to hand him the Head Priest position. Tomorrow was the date for the trial by fire, thus it was tonight that Zou Liang had to pay Tuo Ma Si a visit. This cheap master had been worked to death by the current events, but he was also happy since each influential power in Ye Lu Samo had lined up to pay him a visit and book a time to undergo their Beast Spirit Transformation. The families with children that had specifically waited for the Spring Festival to undergo their Beast Spirit Transformation, in particular, mostly relied on their connections to assure its success. A good start was half the way to success. One had to pity the parents’ hearts, as in both worlds they were the same: to let their loved ones have even just one more point in Beast Power, they wouldn’t hesitate to pay any price. Thus, Tuo Ma Si had been very busy, and even though Zou Liang had told him the crucial points Tuo Ma Si’s success rate was still only 50%. 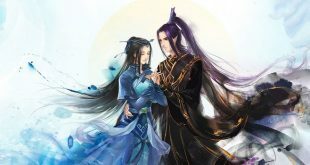 Of course, if he spent more time to become familiar with the other’s Beast Spirit to improve their aptitude, the chance of success would also rise accordingly and Tuo Ma Si himself needed to find the right balance for this. There were times, however, that he questioned whether this smart and understanding disciple of his truly only had a 70% success rate. In private, Tuo Ma Si would not conceal or hide anything from this intelligent disciple. In times like these he had no hint of modesty. He had already studied the precise details of the underworld, and it was clearly not the Beast Spirit World where one could return to life after dying. Zou Liang was very clear that he needed to face the reality of this world and brave through this excursion in order to be considered amongst the strong; if he did not, sooner or later he would be toppled over. However, the trial by fire was not meant to throw one’s life away. He thought that Tuo Ma Si—who had been a Head Priest for many years—must have some good things on his person. ”Smelly brat, I knew it. Are, this is what I have prepared or you,” Tuo Ma Si said in disdain as he pointed to a golden box on the table. Zou Liang very courteously went and grabbed it, immediately opening it in front of Tuo Ma Si 6; seeing this, Tuo Ma Si simply shook his head yet this junior of his didn’t care at all. If it was another person, they would not dare to open it until they returned home, yet this kind of straightforward character was also something that Tuo Ma Si appreciated. Inside the golden box was a flask, the jade quality very mild and warm enough to cause one’s hand to heat, and within the container itself, whatever was inside could not possibly be any worse in quality. With the state of the Meng Jia Empire’s development, there was definitely no comparison between this packaging and the 21st century’s, nor were the quality of the products similar. Zou Liang unabashedly placed the bottle into his chest pocket. In comparison to his life, one point of Beast Spirit would be likened to a hair; this was a real treasure, and this cheap teacher of his seemed like he would still provide help in those crucial moments. Zou Liang could feel concern from Tuo Ma Si’s inner heart from those last few words. He was old and had no heirs, and suddenly he had met this interesting disciple; one could only imagine Tuo Ma Si’s mood. Zou Liang was also a bit touched. He was finally going to begin his own journey.